If you are a small business or an entrepreneur, you are wearing too many hats. While it is important that you do all things that are required for your business, it can be too taxing for one single person to be handling so many responsibilities and doing that effectively. It’s for situations like these that we have a virtual assistant. As the name suggests a virtual assistant is somebody who is not in your office or business so you don’t have to pay them full time, and their services can be custom made as per your requirement. Such a system is cost effective for an entrepreneur as he does not have to allocate certain resources or worry about fixed pay, without compromising on the quality of work. Virtual assistant is someone who is capable in the assigned work but might not be physically present in your office. The person can be remotely located and yet do his duties. This assistants usually works for one or two businesses at a time depending on the time required. This is a cross between a freelancer and full time employee. Any job that does not require physical presence can be assigned to a virtual assistant. This is someone who will work from remote location, offering quality services. This is beneficial for small business as you don’t have to compromise for lack of funds or maybe non requirement of a dedicated employee. 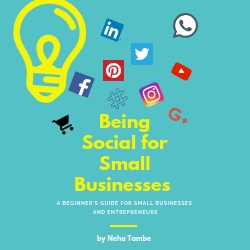 As a small business you might not need a full time social media manager however it is impossible for a small business to manage everything from sales, delivery, creating new product to social media marketing. In such situations a virtual assistant works well, as the virtual assistant could be working part time for fixed hours. This will work as being a cost-effective option. Many a times a small businessman has to compromise on the quality of service for the fact that there is a budget constraint to hire a full time qualified professional or a qualified professional might not be interested in small volume jobs. Virtual assistant is qualified personal who is open to work for fixed hours and hence offers you the flexibility that you are looking for. If you hire full time employees you need to identify certain things like workspace, number of hours, other benefits like provident fund medical insurance, et cetera if applicable. It might also be possible that the talent that you are looking for might not be available in your area and you might have to shell out relocation charges. Having a virtual assistant saves all this trouble. What kind of services can a virtual assistant offer? Here is a good infographic by the Admin Assistant to show the range of virtual assistant works that are available. On all these sites you need to create your personal profile along with work portfolio. You can set your pay per hour and the time that you would be able to dedicate. You can then pitch for clients and work with them. As these sites are not limited to a geographic location, you can hire people from around the globe. Apart from these sites, you can also hire virtual assistants from your network, twitter or facebook search, events that you frequent or even college campuses! 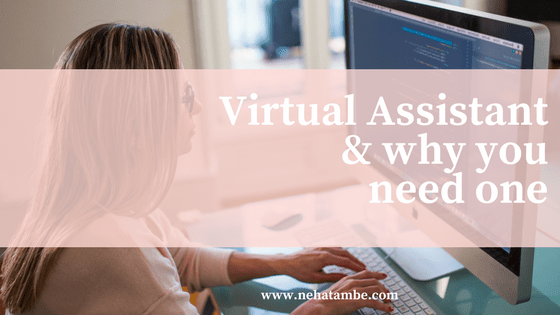 Hiring a virtual assistant, could mean taking off a lot of pressure and hence in the excitement of being able to find help, many times small businesses forget to chalk out an outline of what is it that they wish the virtual assistant to do. At times the things that are expected by the businessmen are different than what is being offered. It is important to be clear of what work needs to be outsourced. How much time do you think the VA would take for it and what are the results expected. Every VA will have a basic portfolio ready that will give you a glimpse of the work done. It will also showcase their strengths. You need to see it in terms of – Is it the kind of work you are looking for? The person could be offering a competitive price, but might not have experience in managing Linkedin, for which you are looking for support! In such situations it is important that you understand what they know and how you want them to work. Having clarity about the strengths and limitations will set goals for both of you. You might have a system of working and the VA might have his own. It is important to understand what works best for your business and putting that in place. You might have a system of writing a blogpost on Monday and sharing that on your platform and social channels by Wednesday. If the VA is going to help you edit the posts, and share them then it is necessary that they edit it and share all the content that is to go out by Tuesday for it to be approved and published on Wednesday. You will also have to consider the time zone’s and differences to have a perfect work plan. Consider the VA or virtual assistant just like your full time employee. The more you are invested in the work and understand his or her viewpoint and effort the better results you can expect. Hiring the assistant for X job and then expecting them to take on Y job as well, without discussing with them, leaves a bad impression about the employer. Similarly not having regular discussions about way forward, improvement in systems, feedback and suggestions will lead to virtual assitant’s disillusion. With the power of internet the world has become a small place and we can find good business support if we keep our perspective open too! So, don’t miss out on working with VA’s as that is the next game changer.